Sovereignty Movement welcomes Netanyahu's announcement that he intends to apply Israeli sovereignty over Judea and Samaria. The Sovereignty Movement welcomed with cautious satisfaction Prime Minister Binyamin Netanyahu's announcement on Saturday night that he intends to apply Israeli sovereignty over all the Jewish communities in Judea and Samaria. The movement stressed that this is indeed a historic moment, because even if it is a promise of elections, for the first time a prime minister in Israel sees Israeli sovereignty in Judea and Samaria as a viable political plan. "Such a declaration should be welcomed as a significant element in the implementation of the vision of sovereignty in Israeli diplomacy and policy," said movement leaders Yehudit Katsover and Nadia Matar, who emphasized that "we have not yet heard from the Prime Minister a retraction from his Bar-Ilan speech. This is very worrying. " Katsover and Matar recalled that according to most signs and reports, the Trump plan is expected to include the establishment of a Palestinian state on part of Judea and Samaria in parallel with the application of sovereignty over Jewish communities in Judea and Samaria, a plan that is consistent with the seemingly contradictory statements of the prime minister. In the coming elections, they said, the right-wing parties should be strengthened in order to strengthen Netanyahu's last statement regarding the application of sovereignty and not as part of a comprehensive plan in the spirit of the Trump deal. "One does not make deals over the Land of Israel. 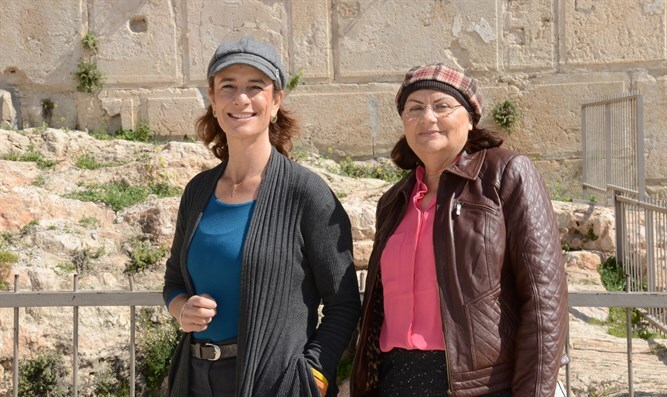 Sovereignty is a historical and Zionist necessity in all of Judea and Samaria without compromises and without withdrawals,” said Katsover and Matar.